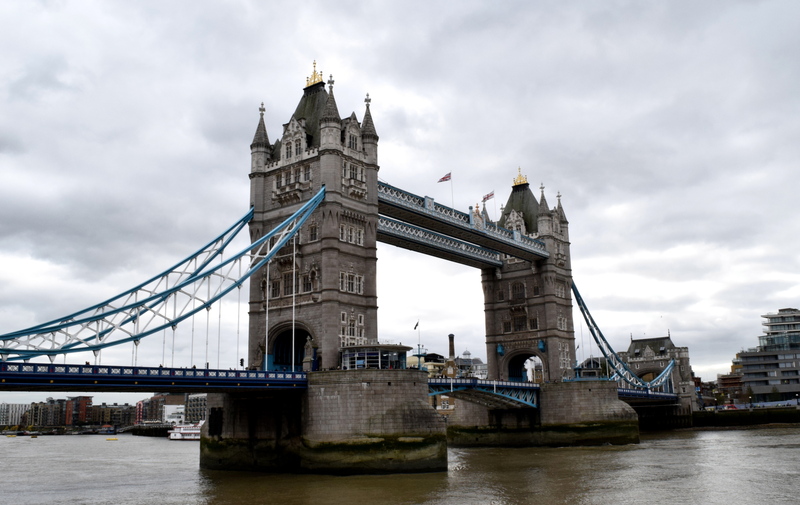 London is a giant mixing pot of cultures, performance, art, a roiling nightlife and a lengthy history. It brings out your inner-commute-beast and keeps you running at a hundred miles an hour with everything it has to offer. The city is endless entertainment, and if the buzz becomes to much all you have to do is disappear into one of the freakishly well maintained parks for a slice of peace and quiet. 1. Have a pint at as many pubs as possible. If the English did anything right, it was a pub. 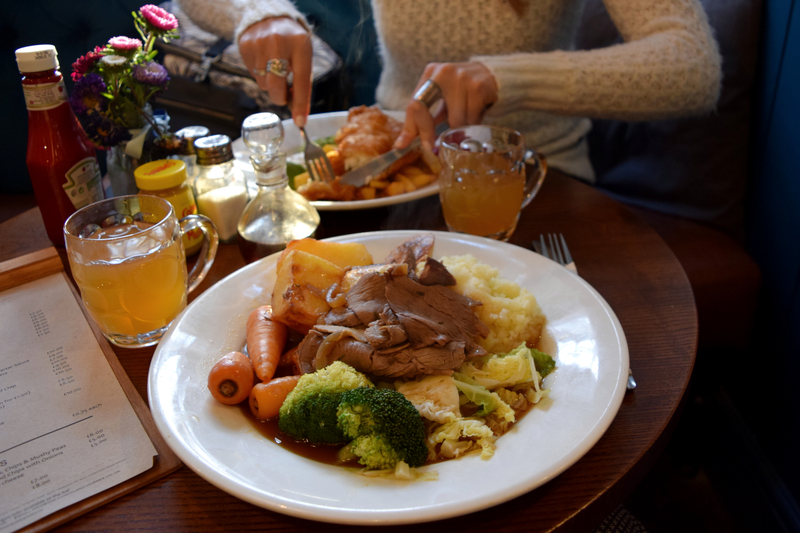 Not to mention the Sunday roasts which are superb. These cosy caverns with hot mulled wine and great beer must be appreciated with a drinks or six. No need to look far, there are great pubs on every corner. 2. But also have some wine.. There are some really great places to sip on a glass of pinot and eat cheese by the brick. Gordon’s Wine Bar was my absolute favourite. Thought to be the oldest wine bar in London, it came about in 1890 and as you make your way into the candle lit cellar be sure to watch your head. The wine is great, the food is great, the vibe is great. Get yourself to Covent Garden and check out this unique little wine cavern. 3. Market Wandering. If you’re a market junkie, you’ll love London. From flowers to antiques, sizzling ethnic foods and red wine sausages you can find just about anything to suit your tastes. You can venture from grunge-hipster all the way up to the wacky, unique and posh suburbs of London, looking to spend your money or appreciate the artisans who fill the tables with their unique creations. Definitely check out Camden Lock Market and sample all the vendor foods going on there. Theres a huge variety of delicious street eats and coffee stands and the shopping is really cool! All the vendors at Camden are asked to be there so the market has very unique clothes, jewellery, artifacts, artwork, music and more. Another great market was Brick Lane in Shoreditch. It has everything from delicious chocolate, vintage clothes at bargaining prices and great street art. It’s the grungy-hipstered-out part of town and you’ll see loads of unique characters sipping on tea and wearing large, hard-framed, clear glasses. The others that are worth a visit are the Portobello, Covent Garden and Greenwich Markets. They are slightly more chic in some places, surrounded by great pubs and you will be in vintage meets modern art heaven. 4. Museums! If you love art, history (of all sorts) the museums are brilliant and most of them are free. You can literally spend whole days exploring evolution, dinosaurs, famous works of arts, statues, historical fires and British history. It’s all well worth a visit. 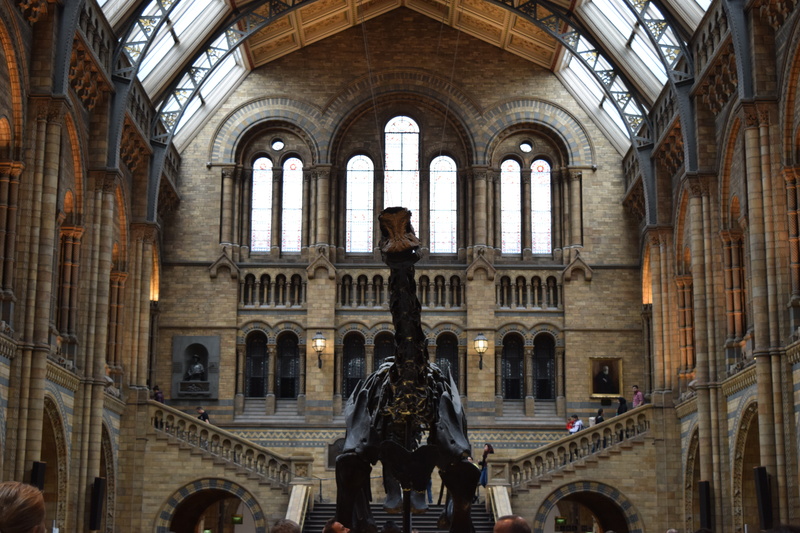 The Natural History Museum was like going into Harry Potter land and learning about evolution, plants, animals and well… natural history. This was definitely my favourite museum in London. If you are more into historic artworks check out the National Gallery. There are literally dozens of great museums worth a visit, spend a day or three exploring as many as you can. 5. The Classics!! I’m not usually excited about the super touristy things but London not only has a ridiculous amount but they are seriously cool. There is so much history embedded in the castles, bridges, churches and streets that you have to wander to them all. Check out for London in Classics for a photo gallery on everything you will want to selfie with and Oye’ Watch Your Selfie! for proper selfie-taking etiquette. 1. Basics – London is divided into 6 zones. You’ll be using the tube and the iconic double deckers buses to get around the city. All the touristy things you’ll want to see are in zone one and two, but it’s well worth it to check out places beyond the first two zones. 2. Get an Unlimited Weekley Oyster Card – If you are here for longer than 3 days, buy the weekly oyster pass to get around the city via the tube/bus. (For those of us who have no idea what the tube is, it’s the train system you might refer to as the subway or well… the train.) The tube is a money guzzler without the weekly pass and the city is anything but walkable. 3. The Tube: Almost a guarantee you’ll want to shrink away and run in the opposite direction when you first try to understand/make it on the tube. It is however really easy, just a bit overwhelming if you’re not a crowds person. Don’t stress though, everything is wonderfully sign posted on every tunnel you care to walk down. Best travel tip? Give yourself more time than you think you’ll need. If google map tells you your journey will take 30 minutes, give yourself an hour. Wait times (although never long), traffic jams and tube delays are very common and always seem to double your commute. 4. Tube etiquette: Aside from giving your seat up to someone who needs it more. Squish your way in there and feel the crush of a thousand human limbs on every side of you. If you ever feel the train couldn’t hold one more person.. you are mistaken. It’s an experience like no other.